Monthly Meeting April 5th Ron Adams will be sharing about his recent trip to Mexico with Proyecto Sierra Mazateca who are dedicated to the exploration and conservation of the karst ecosystem in the Sierra Mazateca, Oaxaca, Mexico. In addition to discovering and exploring caves, our group is focused on preserving the highland cloud forests, precious water resources, and Mazatec cultural pride. Central Indiana Grotto meetings are held at 7:30 p.m. on the first Wednesday of every month at the World War Memorial building in downtown Indianapolis at Meridian and Michigan Streets. Our meetings usually consist of a business meeting, talk about caves, a brief break, and some form of cave related program. 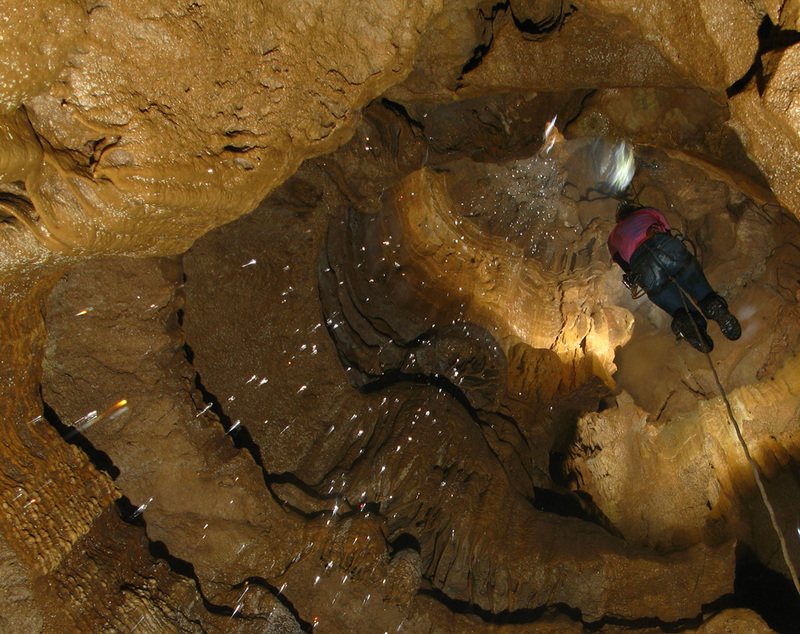 Our programs vary from guest speakers to slide programs on caves and caving. Interested in what the Central Indiana Grotto is all about? This is the place to begin. Parking is located on the streets around the Memorial building. Walk up the steps and enter the World War Memorial on the North side of the building (Michigan Street Side) at the door located by the arrow in the above picture. Many times the lights are turned off in the entryway, this is OK, go on in. When you go into the entrance hall turn to your left and the meeting room is located directly ahead at the left side (East) of the entrance hall. You can click on the “satellite” tab on the map below to see the buildings and landmarks.